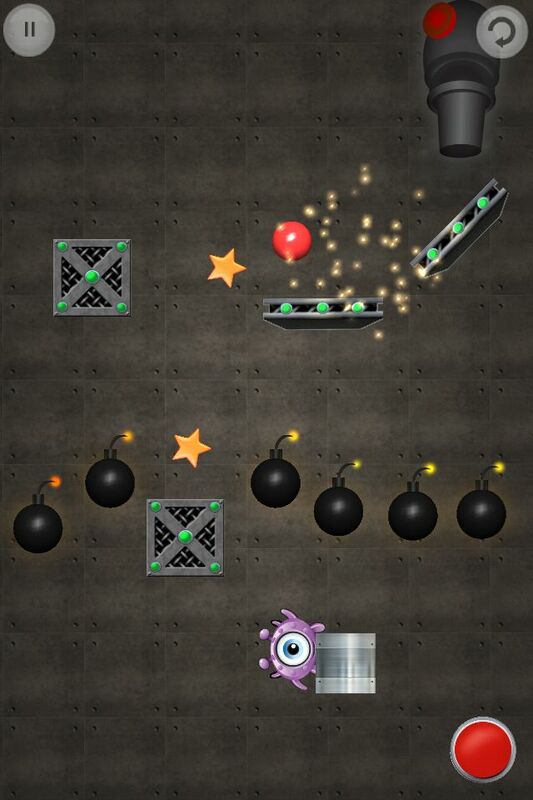 Blast the Alien by Zondo Games was released to the iTunes App Store about 2 weeks ago. So far, it has not shown great popularity, but it is the type of game that typically does very well. 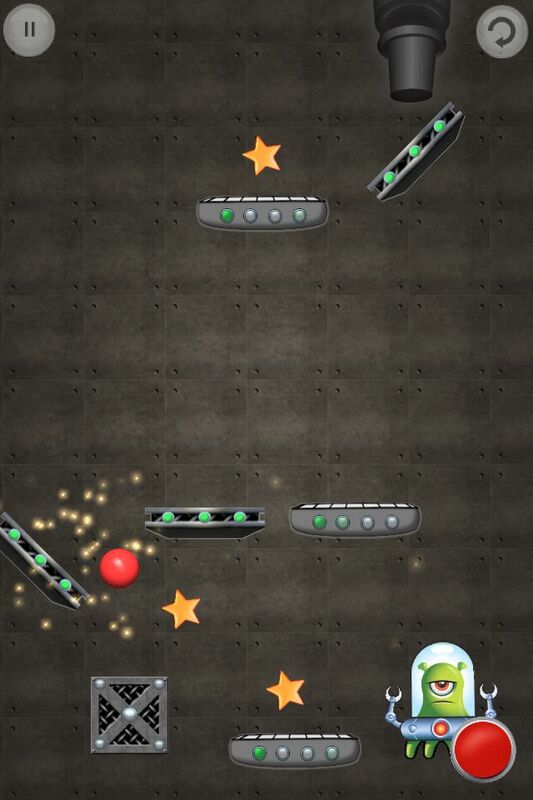 It is a physics puzzle game. The graphics are great. I couldn’t immediately see any reason why it wouldn’t be a great app to own. I especially enjoyed the trailer that I found for the app. So, I decided to give the app a try. The aliens that you are trying to blast have escaped from Area 51. Your job is to shoot them all with a red ball that acts as a bouncy ball. The bouncing makes your job of shooting them much harder than you would think. 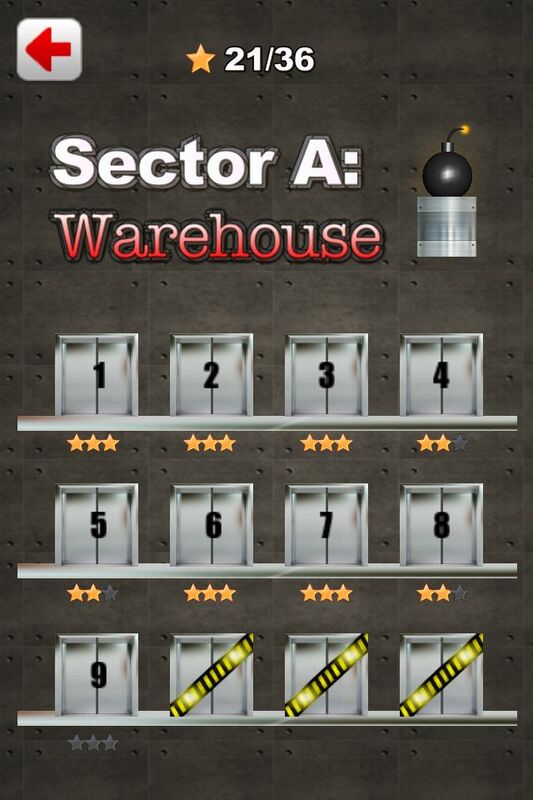 To add to the challenge, you have to collect all the stars in each level to secure each of three sections of Area 51. 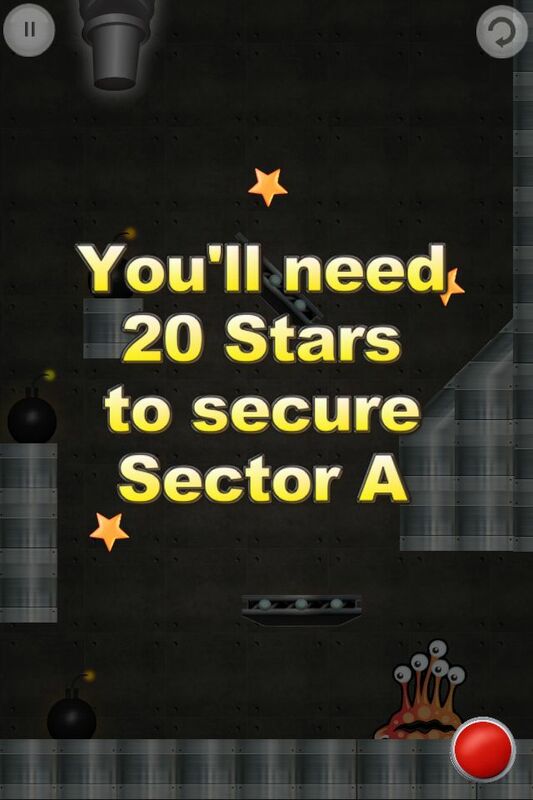 The first couple of levels serve as a tutorial. 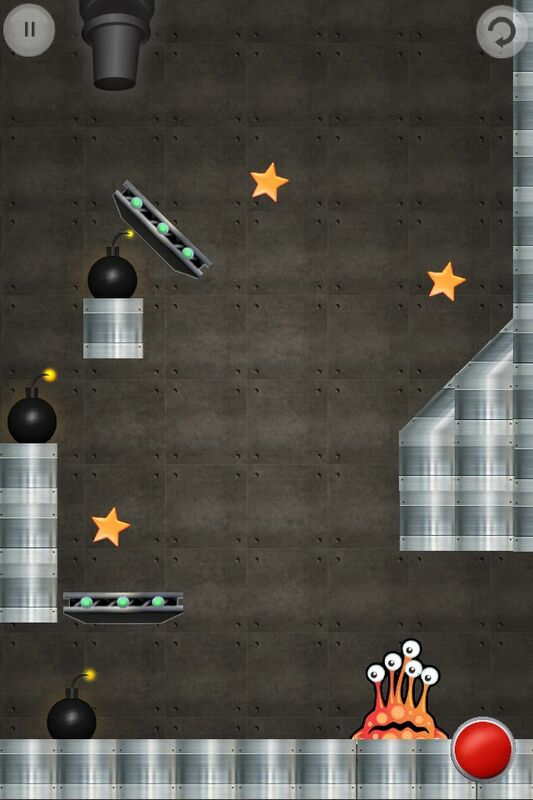 It shows you the pieces that you can move within the level to keep the ball moving in the right direction. 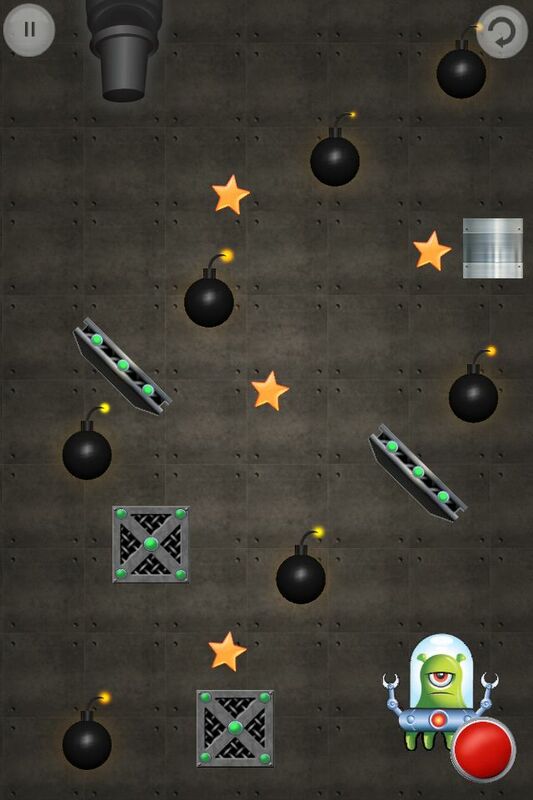 When you think you have things correct, tap the red button in the lower right corner to shoot the red ball from the cannon at the top of the screen. 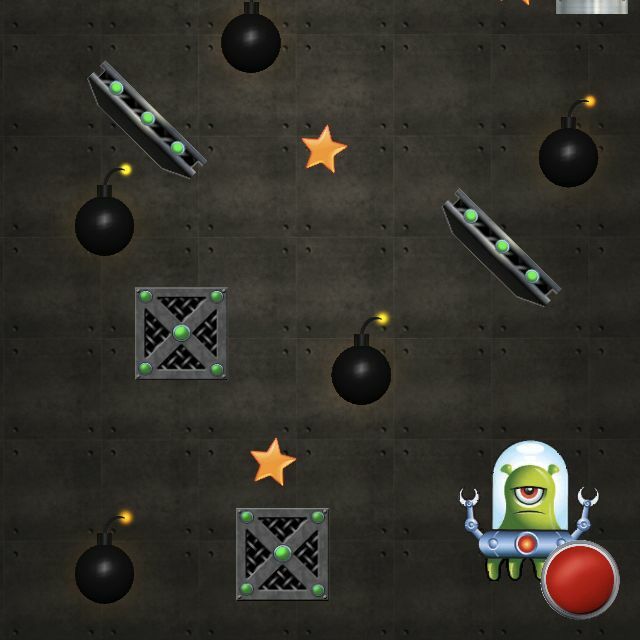 If you fail to hit the alien, your screen will refresh. However, the moveable pieces will remain in the same place. 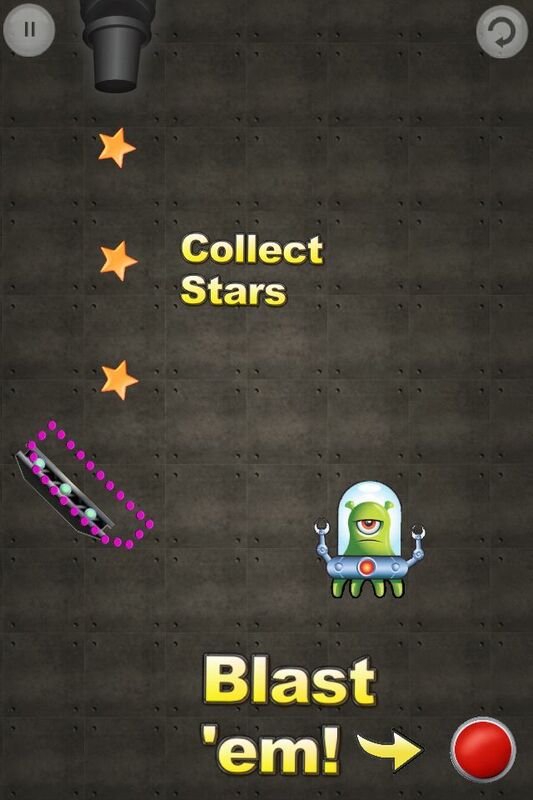 I like this property because it allows you to tweak your design to get the stars and the alien. 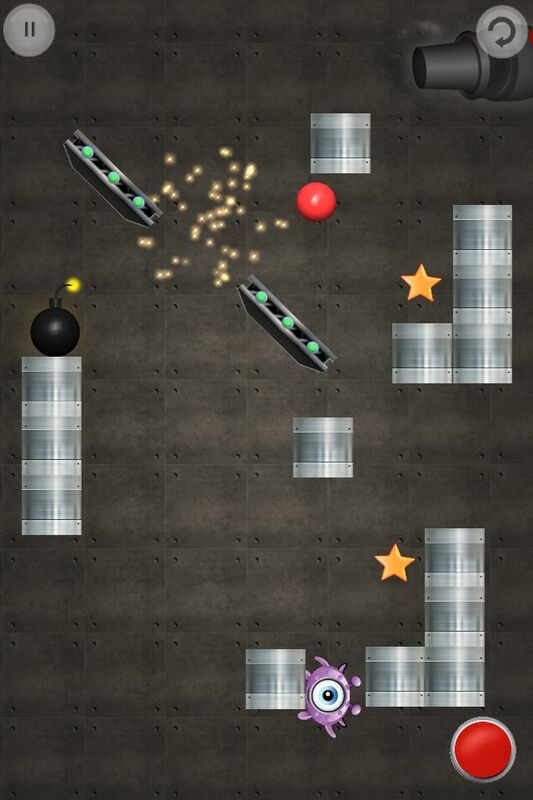 On the other hand, if you hit the alien, he explodes and the level resets. Unfortunately, this means that you have to start all over. I found that slowly working through the level by getting the beginning set before I actually tried to get the alien was easier for me. 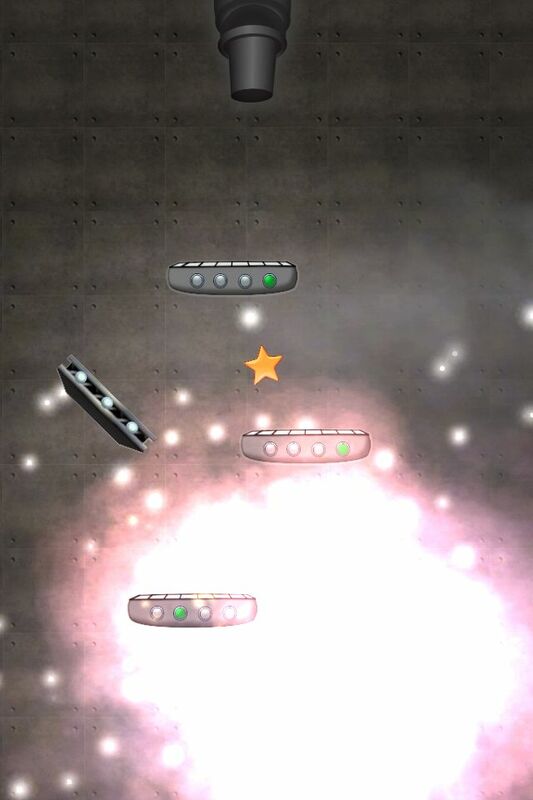 The downside to this method is that you get more points if you complete the level quickly. Blast the Alien offers some great playing potential. The only feature that some may not like is that the levels quickly get challenging. 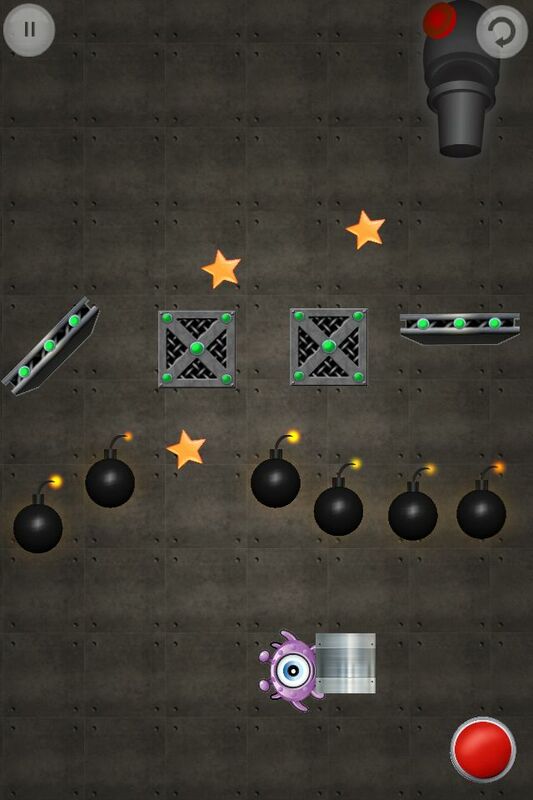 I had difficulty getting the pieces placed just right to collect all the stars and the alien. 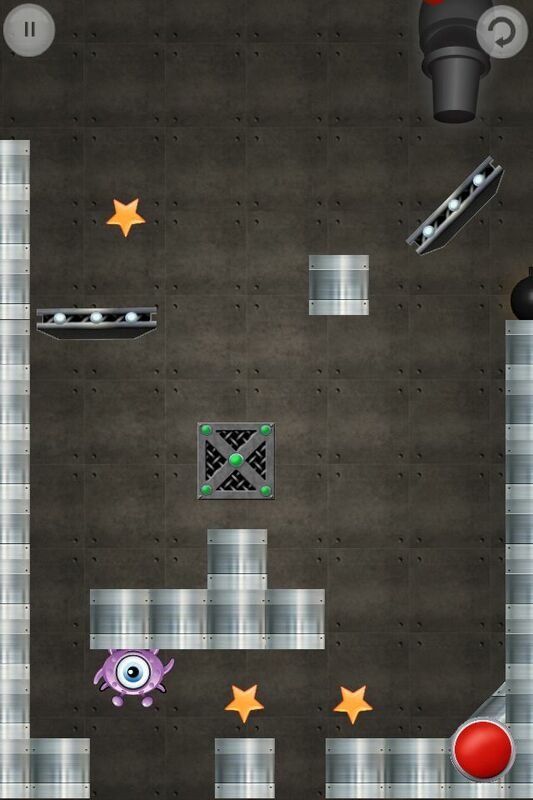 That having been said, the game is well-designed and provides lots of fun puzzles for all those up to the challenge.